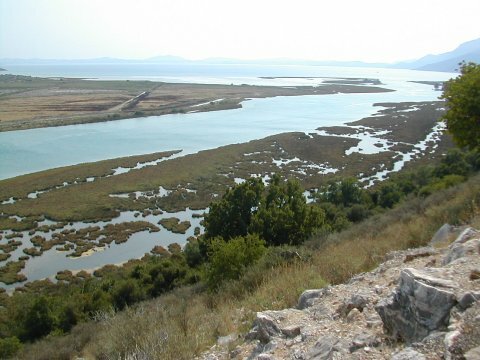 The Ramsar Site diploma was presented to the Albanian authorities on 14 July 2003 during an official ceremony for the designation of Albania's second Ramsar Site, "Butrint". The Minister for the Environment, Professor Dr Lufter Xhuveli, chaired the meeting in Saranda, Albania's nearby coastal town at the Straits of Corfu. The mayor of Saranda, Adrian Shehu, and the director of the National Park that covers the central part of the Ramsar Site, Auron Tare, summarized the opportunity for tourism and local development offered by this outstanding site of cultural and natural interest. 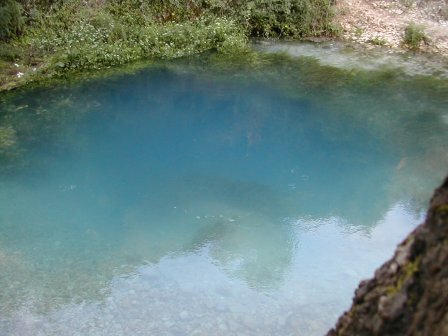 Zamir Dedej, Director of Nature Protection in the Ministry of Environment, presented the integrated approach in delineating the Ramsar site that covers not only the centrally located World Heritage Site but the essential part of the catchment basin of lake Butrint, a brackish lagoon connected through the Vivari channel with the Ionian Sea. Dr Taulant Bino of Albania's National Science Museum presented the values and functions of the area and the criteria that led to its Ramsar designation, including a freshwater lake and marshes, coastal saltmarshes, and relicts of alluvial forests in the coastal plain that was drained under the communist regime in the 1960s and 1970s. 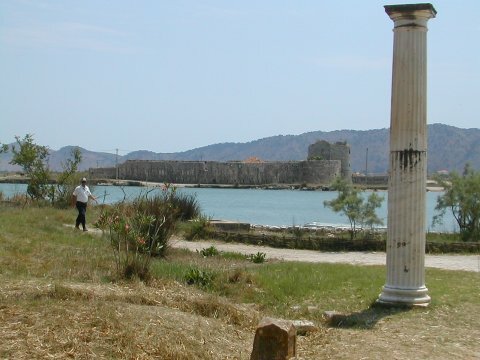 For the past ten years, the Butrint Foundation, based in London, has been conducting, with foreign and Albanian scientists and students, historical and archeological research on the area and its human settlements through the ages, including the ancient town of Buthrotum. Professor Richard Hodges of the Foundation (and of the University of East Anglia) presented a summary of ten years of research in a beautifully illustrated brochure with Albanian and English text. 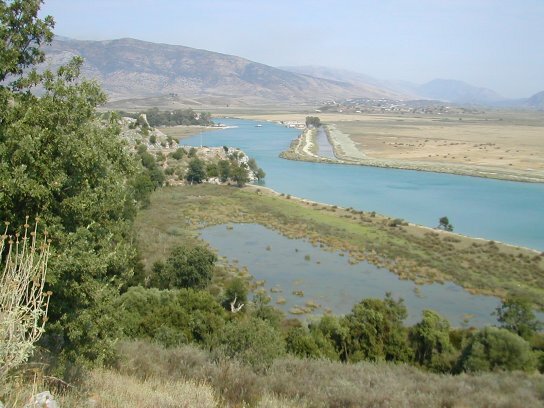 Ramsar's Coordinator for Europe highlighted the exceptional cultural and natural heritage of this unique wetland ecosystem presenting a rich habitat diversity. In order to safeguard this exceptional landscape and its many attractions, it is important to prevent unwanted tourist development (urbanization, marinas, golf courses, etc.) 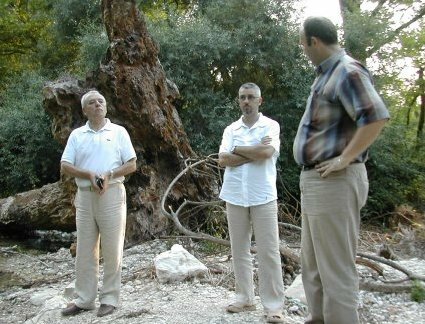 inside the core area and to plan human interventions carefully, as outlined in the detailed management plan document, prepared by Sally Martin of the Butrint Foundation in 2001. He expressed the Foundation's hope that the Albanian Ministry can soon formally adopt this plan and provide the area with increased legal protection at national level, to safeguard it in the long term. 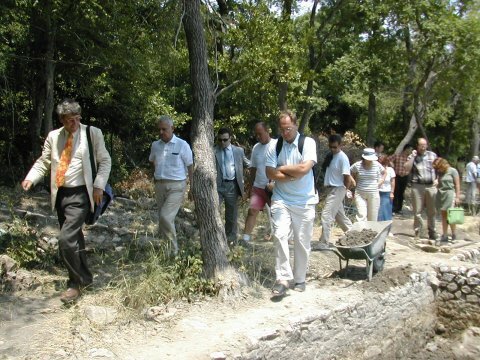 After the meeting in Saranda, the participants visited ongoing excavations at the Butrint historical site, the Vivari channel and adjacent saltmarsh, before having lunch at the Livia restaurant, named after Empress Livia, of whom a bust was found in 1928, stolen from the local museum in 1992, and recovered in 2001 with the help of the Butrint Foundation. 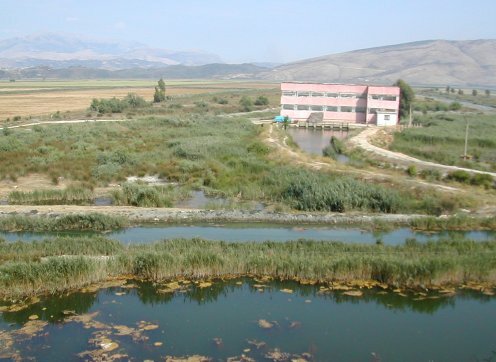 Ramsar Site designation was prepared by the Ministry of Environment with help from the Albanian Society for the Conservation of Birds and Mammals (a national NGO) and support from a small grant by the Global Environment Facility. Current excavations at the remains of the Triconch palace of the 4th century, visited by the participants at the ceremony. 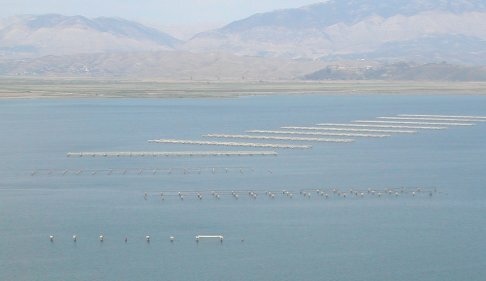 At the northern end of lake Butrint, remnants of the socialist drainage system for the coastal plain, providing a huge wetland restoration potential in the polders visible in the background.